A recently bought Android mobile phone usually doesn’t need the implementation of any of the tips to enhance its performance. New mobile phones seem really cool and fast. You cannot deny the fact that Android mobile phones provide an astonishing amount of power, flexibility, and customization options for the users. But after many days or rather months of its use, its performance starts to sag. As we know, with authority comes ample of responsibility. If you do not act very proactively, certain widgets and applications can gobble the resources of the system. You can check out some of the quick steps that would help you to stay wakeful and vigilant against lagging performance. Along with engaging and eating up memory, many applications continue to run in the background when not in used, and thus eat up and slows down the valued CPU cycles. The latest versions of Android applications allow easy application killing that is running behind the scenes. 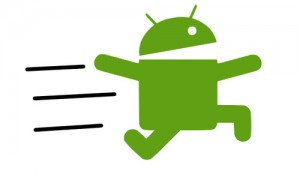 This is a very easy and basic tip to speed up any Android device. One should always remove those applications from the device which are unused are will not be used in future. It usually happens that you find an application online and immediately install it on your Android phone but after some days you completely forget about that application. These unused apps are good for nothing and moreover they clog the device’s memory. Just as your personal computer, you can enhance your Android phone’s performance by simply defragmenting its internal RAM. Certain free applications are also available in the android market which defragments the device’s internal random access memory and fix information leaks from damaged applications at the same time. Many oddballs forget that android is a very good platform and tend to think that android mobile phones have one huge shortcoming and that is its inbuilt web browser. The inbuilt web browser is very buggy and slow. It slows down the pace of the system. So, if an android phone user wants to get rid of this problem, he or she should remove the inbuilt web browser and replace it with a faster and advanced web browser. The advanced task killer is a very useful application that has been introduced in the Android market. It kills those processes and applications that are not in use and their presence is not really important. This is a really useful application and you can download it from Google Play for free. The operating system is not the only culprit in slowing down the speed of your Android phone. Sometimes some applications can also tend to cause the grief. One should always keep the applications updated to enhance the device’s performance. These are some of the awesome tips that could help you to enhance the performance and the speed of your Android mobile phone. Make full use of your phone by keeping it updated and fast. Fenix Raw is an IT professional from Test4Prep.Are you really Looking for this ACMA 9L0-063 exam assistance? Move ahead to take the benefit of ACMA 9L0-010 and pass your exam easily.